After countless hours in the lab and in the anechoic chamber, Axiom is excited to announce Version 4, the latest evolution of our speaker lineup! Our commitment to ongoing research in acoustical design means that we are constantly striving to find ways to bring you more realistic sound and a more life-like experience across our entire product line, stereo and home theater alike. 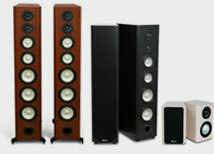 The newly redesigned 6.5-inch HP woofer, available in the new M100 flagship floorstanding speakers and LFR1100 omnidirectional speakers, as well as in the high-powered versions of the M60 and M80 floorstanding speakers and LFR660 and LFR880 omnidirectional speakers, has a larger voice coil, larger motor assembly, and larger roll surround, meaning there is more linear excursion capability. 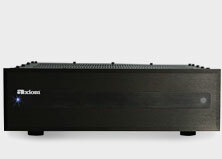 This means it can handle more amplifier power for clean, dynamic sound reproduction even at high volumes in large rooms without a subwoofer. 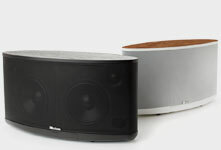 Read more about the new high-powered woofer on our blog. The new tweeter change, taking place across the entire product line, features a die-cast aluminum face plate for both better rigidity and for cooling. It functions as a heat sink for the tweeter. There is also a new horn design to provide smoother off-axis response above 12 kHz, and a larger rear chamber that lowers the resonance frequency further below the crossover region. The new tweeter can also handle significantly more power than the older version. We have also made a number of changes to "Customize Yours" and the "Factory Outlet"
Our factory seconds will no longer be sold in the Factory Outlet, they will move to their own spot in the Refurb Store. Everything in the Factory Outlet will be new v4 product sold at a discount. 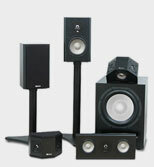 Speakers from the Outlet will take an additional 10 business days before shipping. Our line has grown in leaps and bounds since the last update, and the changes to the site will help to bring some clarity to the options available for purchasing at Axiom Audio. As always, we are first and foremost about creating the most exciting listening experience we can: but we also want you to have lots of choices for finishes and accessories that suit your fancy.